The lyrics on these pages represent the most popular songs in America. This list is arranged alphabetically by artist's name and/or musical genre. Styles include rock, pop, soul, gospel, folk, country, and more. THESE LYRICS ARE FOR VIEWING PURPOSES ONLY. THIS MATERIAL MAY NOT BE COMMERCIALLY REPRODUCED WITHOUT PERMISSION FROM THE COPYRIGHT HOLDERS. ACDC - Heavy Metal band from the 70s and 80s. AEROSMITH - a blues-infused hard rock band formed in Boston in 1970. ARETHA FRANKLIN - Known as "The Queen of Soul" for her tremendous vocal and emotional range with gospel song lyrics. THE BEACH BOYS - A California-based rock band from the 60s and 70s. THE BEATLES - That sensationally popular 60s rock band. BILLY JOEL - Masterful singer/songwriter, popular since the 70s. BOB MARLEY - The late, great Jamaican musician who headed a Reggae-style band called the Wailers in the 60s and 70s. BOB SEGER - American singer/songwriter who achieved great success in the 70s and 80s, with numerous heartfelt rock classics that reached Top 40 on the music charts. COUNTRY CLASSICS - A down home collection of lyrics from hit country & western songs. DOLLY PARTON - One of the most successful country music artists of all time. Many of her songs are ballads, composed in light-hearted, story-telling style. ELTON JOHN - Enormously successful and amazingly resilient rock/pop musician from the UK. Famous for composing melodies. EMINEM - The first white rap megastar. Winner of nine Grammy awards. Although famous for a song about killing his wife, Eminem's lyrics are infused with deep, dark sense of humor. 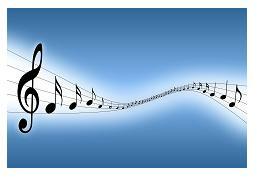 GOSPEL SONG LYRICS - A poetic selection of great Gospel Song Lyrics and Christian classics. HANNAH MONTANA - Miley Cyrus in drag, if you will. HIGH SCHOOL MUSICAL - Lyrics to the songs from everyone's favorite film about how high school should be, but never is. JACKSON BROWNE - Mellow singer/songwriter whose lyrics are sometimes drawn from personal tragedies. JOHN LENNON - Became famous as one of The Beatles (see above), along with Paul McCartney, George Harrison and Ringo Starr. JORDIN SPARKS - American pop singer, songwriter and plus-size model. She won the 6th season of American Idol at the age of seventeen. LIL WAYNE - Successful rap artist, born Dwayne Michael Carter in New Orleans.